The Antiquities Coalition joined with the Johns Hopkins University, Paul H. Nitze School of Advanced International Studies (SAIS) to publish Culture in Crisis: Preserving Cultural Heritage in Conflict Zones. The Antiquities Coalition is proud to announce the publication of Culture in Crisis: Preserving Cultural Heritage in Conflict Zones—a joint effort with the Johns Hopkins University, Paul H. Nitze School of Advanced International Studies (SAIS). This collaboration explored today’s cataclysmic cultural heritage crisis in Syria and Iraq through a unique student practicum. During the 2015/2016 academic year, six students engaged in a capstone practicum project called the conflict management program, where the students combined a SAIS for-credit course with an extensive, in-depth, real world experience of research and learning. Each student focused on a specific topic related to the issue of looting, trafficking, and destruction of cultural heritage. This alliance was made possible through the scholarly guidance and expert facilitation of program director, Dr. Daniel Serwer. Dr. Serwer’s work has focused on analyzing cases and best practices for facilitating dialogue in conflict zones as well as examining best practices for civilians and military in post-war state-building. He has identified the protection of cultural heritage from looting and destruction as vital for post-conflict rebuilding and has discussed the targeting of heritage as a tool of war by groups like Daesh. 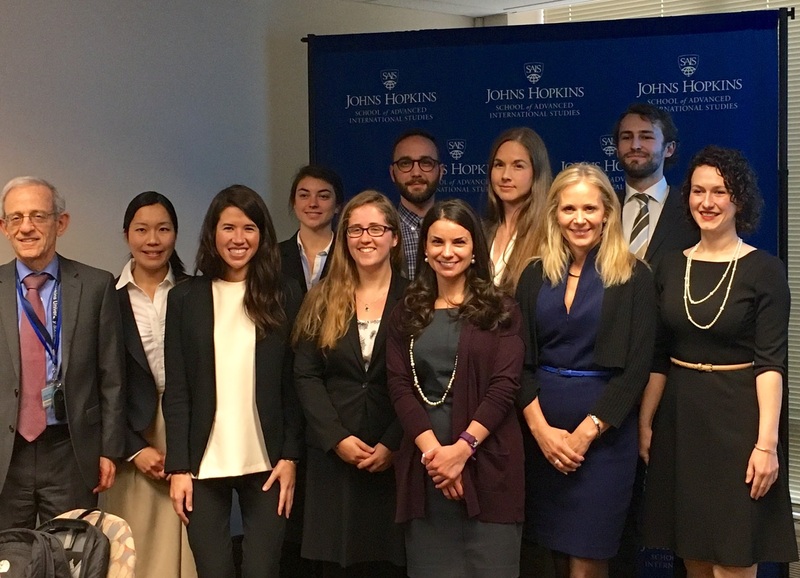 T he students took their international affairs experience in law and policy and presented innovative solutions to combatting cultural racketeering. This was an unprecedented opportunity, not only to introduce this issue to a new generation of scholars, but also to address a wide range of research questions from both an academic and practical perspectives. This fresh and interdisciplinary approach resulted in the papers that follow, which put forward a thorough analysis of the problem, but more importantly concrete recommendations to address it. The Antiquities Coalition looks forward to future partnerships with SAIS on this important topic.